In preparation for my move to the Great White, um, West, I’m brewing two batches this week. First up: a Westvleteren 12 clone. (Rant: In “Belgian degrees”, wouldn’t 12° correspond to about 28°P? It should be called Westvleteren 9°! But I digress.) Stay tuned for an updated porter recipe on Friday. Good news! It gave me a chance to snap a couple quick shots of my latest invention. Even after implementing my brilliant ﻿cialis, I was getting sick of worrying about all the trub getting sucked through the pump – not because I think the pump can’t handle it, but because I worry about crud providing a hiding place for contaminants. 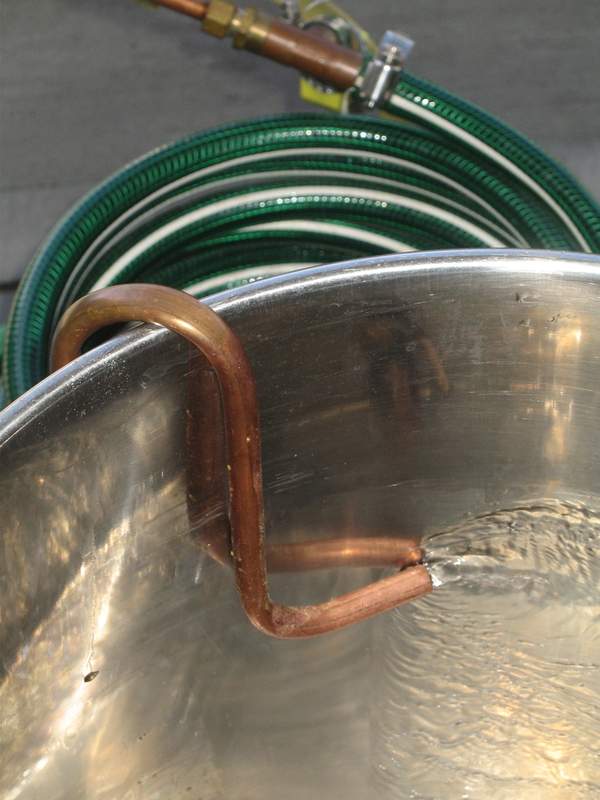 Enter the world’s cheapest tubing bender, and a simple length of copper tubing. So, back to the beer. I overshot my gravity slightly and came in at 22.9°P (1.096). Operator error, really: I forgot that about 13% of the fermentables are coming from the sugar, and based my efficiency estimate on a 1.092 OG, instead of 1.080. My B. Otherwise, the day was completely uneventful, even boring. Not a good portent for my brewing career if I’m only interested when something goes wrong. ok, yeah that’s great but what does it DO? Whirlpooling is just setting up a rotation in the kettle post-boil. Since the rotational velocity is constant, the linear velocity is highest at the outer edge, and drops to zero at the center of the kettle. 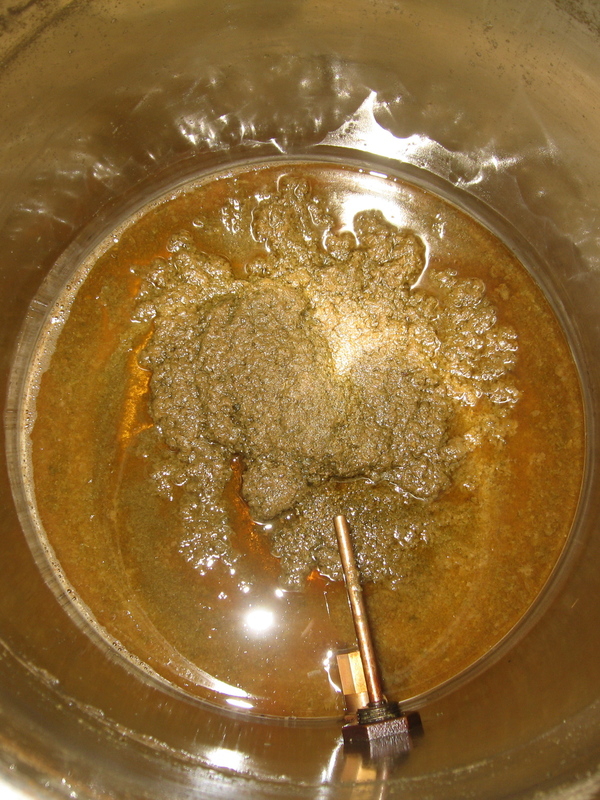 Little bits of trub (hop particles and hot/cold break proteins, mostly) will tend to drift from regions of high velocity to low, so they accumulate in a cone at the center and don’t get picked up by the drain at the side of the kettle. You can see how effective it is in the second image. Gotta love Harbor Freight. Like the last guy said, how does your latest invention wor? What does it do?